Roland T. Barsch, 75, of N Benjamin Street died Tuesday, February 19, 2008 at Columbia St. Mary’s Hospital – Ozaukee Campus in Mequon, Wisconsin. He was born December 1, 1932 in Port Washington, Wisconsin to Harry and Irene Reiter Barsch. 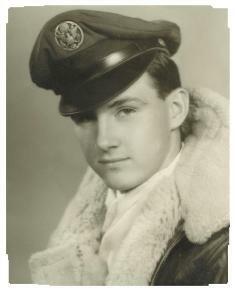 After graduating from Port Washington HIgh School he entered the United States Air Force, serving as a radio operator on B-29 Bombers in Korea. He was discharged as a Staff Sargent in 1953. He started working at Simplicity Manufacturing in Port Washington and retired in 1994 as a machinist. He was a member of the International Association of Machinist, local 1430. For a while he was also part owner of Pirates Cove Pizzeria on Grand Avenue. Rollie loved Port Washington and was a founding committee member of the first Fish Day, and continued to be an active part of the festival through the years. He served on the City Harbor Commission and was also a founding member of the Port Washington Yacht Club. In the 1960’s and 1970’s he captained “The Pirate” charter boat. He was always staying active through memberships in the Van Ells-Schanen American Legion Post 82, Port Windjammers Drum & Bugle Corps or the Port High Football “Chain Gang”. He also volunteered for Port Washington Wrestling as a timer. He is survived by his children James Barsch, Roland “Rocky” Barsch, Jr., Brian (Rebekah) Barsch and Brenda (Peter) Weiss. Further survived by nine grandchildren, one great grandchild, his dear friend Diane Schlueter, brothers Harry (Elsie) Barsch, Roger (Carol Barsch, sisters Doreen (Del) Koopman and Denise Neumann, other relatives and friends. Preceded by his brothers Allan and James and a grandson Jacob Barsch. No services will be held. Memorials to Port Washington High School Athletics of the Port Washington Marina are appreciated.